Complete Heating has always been known for selling premium brands of residential heating and cooling equipment such as Lennox and Carrier. While we continue to feature home heating and cooling systems from Lennox International Inc., we have recently changed from Lennox International's “Lennox” product line to their “Aire-Flo” product line. This change was made in response to requests from our local customers for high quality heating and cooling equipment from Lennox International Inc., but at a more affordable price. For more information on which Aire-Flo product is right for you, or to arrange for your free in-home estimate, please call us today. To learn more about the history of the Aire-Flo line of high-efficiency furnaces, please see the following information bulletin from Lennox. Aire-Flo is a brand of residential Heating and Air Conditioning equipment manufactured by Lennox International Incorporated and sold through the Residential Heating and Cooling Division of Lennox Industries. Lennox International Incorporated is a leading provider of climate control solutions for heating, air conditioning and refrigeration around the world. What is the history of Aire-Flo? The Aire-Flo brand was first introduced by Lennox® in the 1930s. From the 1930s through the 1960s Aire-Flo was co-branded as, “Aire-Flo Heating by Lennox” and the brand was commonly used in advertisements. Lennox reintroduced the brand in the 1990s; but, this time, Aire-Flo was marketed on its own merits, independent of the Lennox brand. What’s the difference between Lennox and Aire-Flo? Aire-Flo and Lennox are both Lennox International brands that serve the residential Heating, Ventilation and Air Conditioning (HVAC) market. 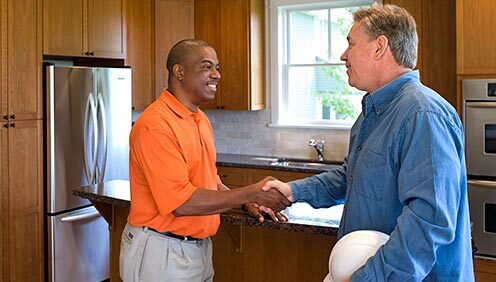 The focus of the Aire-Flo brand is to provide quality, reliable products, while building a strong relationship with the installing and servicing contractors that buy Aire-Flo products. Aire-Flo products feature money-saving energy efficiency and expert craftsmanship. With over 50 years' experience, Aire-Flo knows how to deliver durability, reliability and economy. Lennox is built on a legacy of integrity and innovative firsts. That history began with the introduction of the riveted-steel furnace in 1895 and continues with the development of some of the most efficient air conditioners available today. Over the years, Lennox has set the standard for home comfort. Lennox continues to push the standard forward with a lineup of more than 60 leading-edge products. Due to our policy of continuous improvement, specifications are subject to change without notice.